The benefits of eucalyptus essential oil for health are well known, for example, it is anti-inflammatory, decongestant, antiseptic and also a very good deodorant, it is used in several other things, it is also colorless and its aroma is unmistakable. Although eucalyptus oil has so many properties, it is not very popular as aromatherapy oil because it is very new, not like other aromas that have been used since antiquity. Its benefits attract the attention of everyone and its use in aromatherapy or medicine grows more and more each day. The fresh leaves of the eucalyptus tree are the ones that provide the essential oil. This tree is also known as blue gum tree or fever tree in other parts of the world, and its scientific name is Eucalyptus Globulus. Originally Australian and in recent centuries has spread throughout Europe, South Africa and India. Many are therefore the countries that produce eucalyptus essential oil, although the largest producer is Australia. Given its medicinal uses, this oil and eucalyptol, the main compound, are present in a variety of free medicines, as well as creams, mouthwashes and inhalers. Let’s take a look in detail some of the benefits of this oil, which are worth knowing. Its germicidal quality makes it an excellent antiseptic, also in contact with air produces ozone, another known antiseptic. Due to its properties, the essential eucalyptus oil is used to heal ulcers, burns, cuts, sores and wounds in general. Also recommended against insect bites, in addition to soothing the affected area, it protects the open wound from microbial infections and its exposure to air. It is very effective to treat respiratory problems such as cold, flu, cough, nasal congestion, asthma, sinusitis among several others, the essential oil of eucalyptus is antibacterial, antifungal, antimicrobial and antiviral, in addition to an excellent decongestant by nature, which makes it a great ingredient for medicines that treat breathing problems. Studies have proven useful in the treatment of non-bacterial sinusitis, whose patients showed rapid improvement when the medication they received contained eucalyptus oil. If our throat hurts, a few drops of eucalyptus essential oil diluted in warm water for gargling are effective and relieve us. A condition that affects millions of people is asthma, there are many known treatments and several of them use eucalyptus essential oil. Only by massaging the chest with 3 drops of oil and the aroma of eucalyptus and its vapors will calm the throat and dilate the blood vessels allowing the lungs to oxygenate and breathe normally. One of the reasons why many people use eucalyptus oil is that it creates a refreshing and stimulating effect, eliminates exhaustion and mental slowness. It is ideal for the treatment of stress and mental disorders. In addition to mental exhaustion, eucalyptus essential oil is normally used to stimulate brain activity and increases blood flow, since the oil is vasodilator, greatly increases blood flow throughout the body allowing blood to circulate. Basically, more blood flow to the brain means more brain power. Eucalyptus oil is even used in classrooms like casual aromatherapy to increase student performance. There is still more research to be done in this area, but all the signs point to the connection between brain function and eucalyptus essential oil. A massage with eucalyptus oil on the skin helps to relieve not only the stress, but is also effective against pain in joints and muscles. The oil is analgesic by nature, therefore is recommended very often to patients suffering from rheumatism, sprains and nerve pain. The oil should be massaged in a circular way over the affected area. Less known is the effect of eucalyptus essential oil against cavities, gingivitis and dental plaque, given its germicidal properties. This is the reason why eucalyptus oil is found in mouth rinses, toothpaste and other oral products. Eucalyptus has properties such as insect repellent and natural pesticide, which is why it is often used as a natural treatment for lice. Some of the main treatments against lice and nits can damage the hair, so start using a few drops of eucalyptus essential oil on the infested head. Eucalyptus oil is often used topically to treat skin conditions and help wound healing. Eucalyptus oil helps control blood sugar by ingesting it. It has vasodilation properties as we saw, this means that the whole body gets the benefits with the increase of blood circulation. Diabetic patients usually suffer from poor circulation, this is a dangerous condition, so it is a good idea to massage the oil on topical skin and inhale it as vapor to relieve the veins. For best results, massage the skin immediately after taking a shower. If you need to lower the fever you can also use eucalyptus oil and if combined with mint oil and sprayed on the body as if it were a deodorant the effect is even better, remember that the eucalyptus tree is also known as a tree fever. It is such a good antiseptic and deodorant that eucalyptus oil is ideal as a hospital room freshener. While leaving the environment with a fresh scent, keeps them clean and sterilized, also kills bacteria and germs. For the same reason of the previous point, the oil used in domestic soaps, detergents and deodorants is ideal given its aroma and antiseptic properties. Eucalyptus oil can relieve signs of conditions such as tuberculosis and pneumonia, cleansing lungs and healing from inflammation. In these cases it is ideal to apply it on chest and back over the lungs. It is common to use the essential oil in baths and saunas given its refreshing and antiseptic properties. Its benefits can be used with steam or topical application, so to use it as aromatherapy is normally used in the spas. 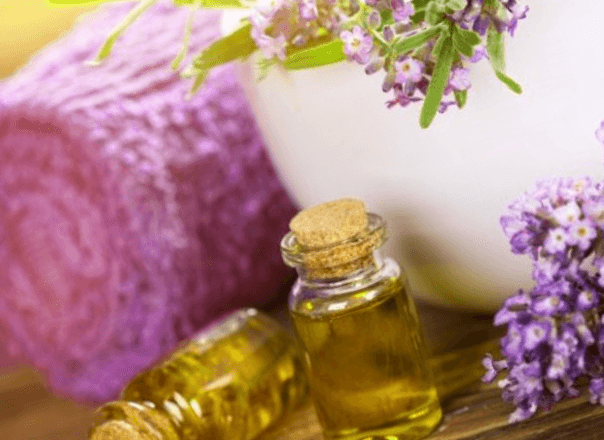 The use of eucalyptus oil in aromatherapy is increasingly popular as it can be combined with many other oils such as rosemary, thyme, lavender and incense. Eucalyptus oil ingested orally can become toxic and interfere with other medicinal treatments, and for allergic people can cause skin irritation when in contact with air, so it is always advisable to consult a doctor before starting a treatment with essential oil.